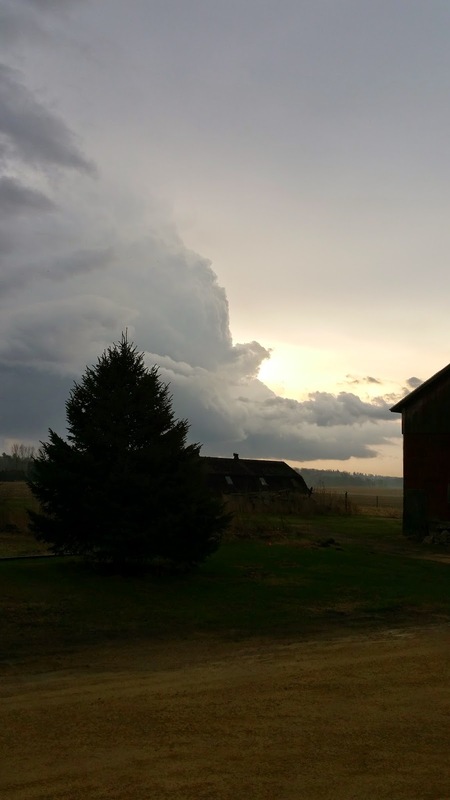 According to the Milwaukee National Weather Service, roughly around 4:38pm on Wednesday afternoon, a barn in Whitewater, WI sustained damage and debris was scattered, possibly up to a mile away, from what appears to be a gustnado/landspout feature. According to witnesses, it lasted for about one to two minutes and started near the intersection of highway 89/12 on the southwest side of Whitewater. Gustnadoes and landspouts are different from tornadoes in that their circulations don't originate at the cloud level, it is not a storm-scale rotation and doesn't form out of a wall cloud or mesocyclone. Often times the rotation is so small that it is not picked up by radar. 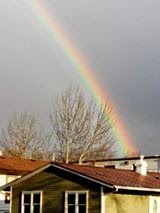 It wasn't much rain, but with those widely scattered showers came several beautiful rainbow photos across the Stateline! Wednesday started on the sunny side but as we go through the afternoon the clouds will continue to increase. An upper level ridge will begin to slide to the east but as it does so, the nose of the jet will pull down over the Stateline, as a low pressure system slides to the east. The jet stream will provide enough lift in the atmosphere to crank out a few light showers. The jet stream will also pull in a pocket of cold air above, while temperatures at the surface will be in the mid and upper 60s. This will create a big temperature gradient and instability, allowing for a few rumbles of thunder in the afternoon. The air mass in place is relatively dry so we won't get much rainfall today. Best timing will arrive after 3pm. 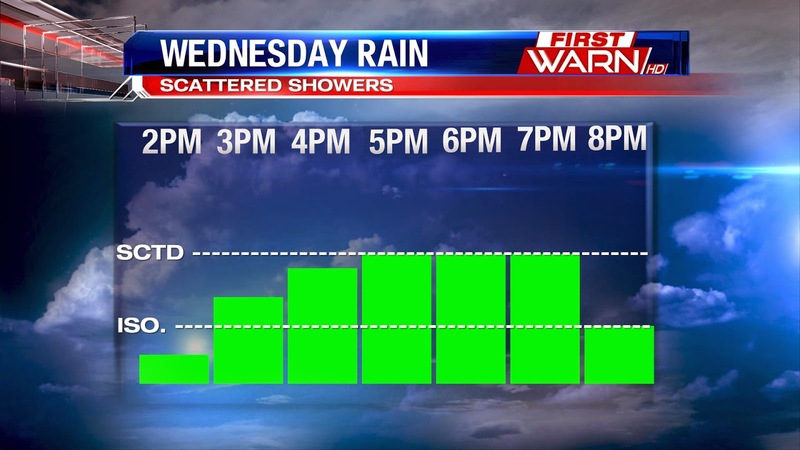 Showers will stay widely scattered through the later afternoon into the early evening. The threat for rain leaving just after sunset tonight. 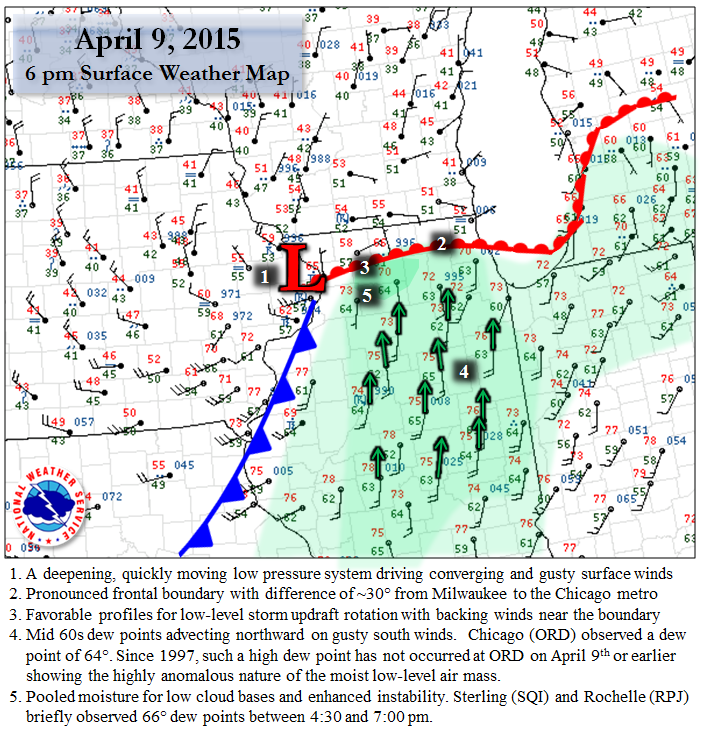 As April comes to an end shortly, the chance for any significant precipitation remains low. Yes, we could receive scattered showers on Wednesday afternoon, but most totals likely won't reach much above a quarter of an inch. So far for the month, precipitation has added up to a little over three inches. As we end the month, it looks like we'll fall very close to our average of 3.11 inches. But, if we look back to the beginning of March - which is was the beginning of Meteorological Spring - we're short. 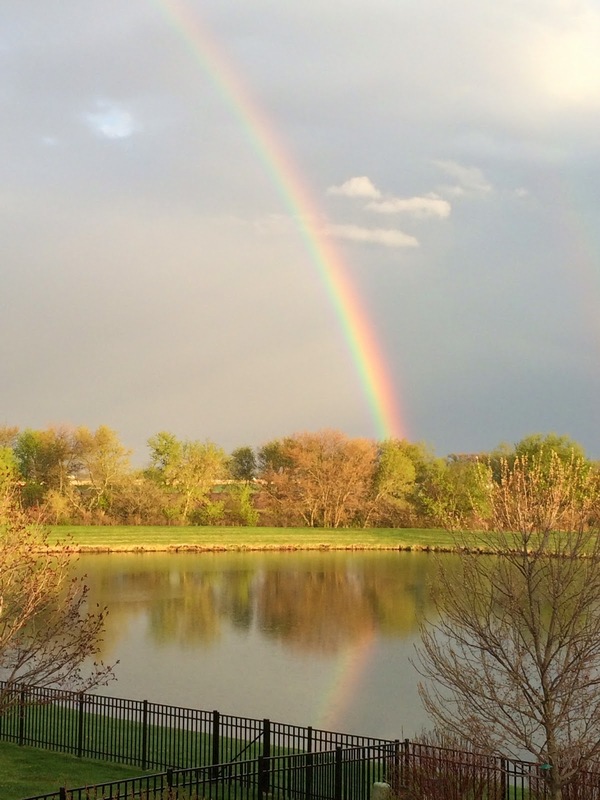 As of Tuesday night, precipitation is running over an inch below normal at 4.42 inches. The dry stretch of weather could be coming to an end as we close out April and turn to May. 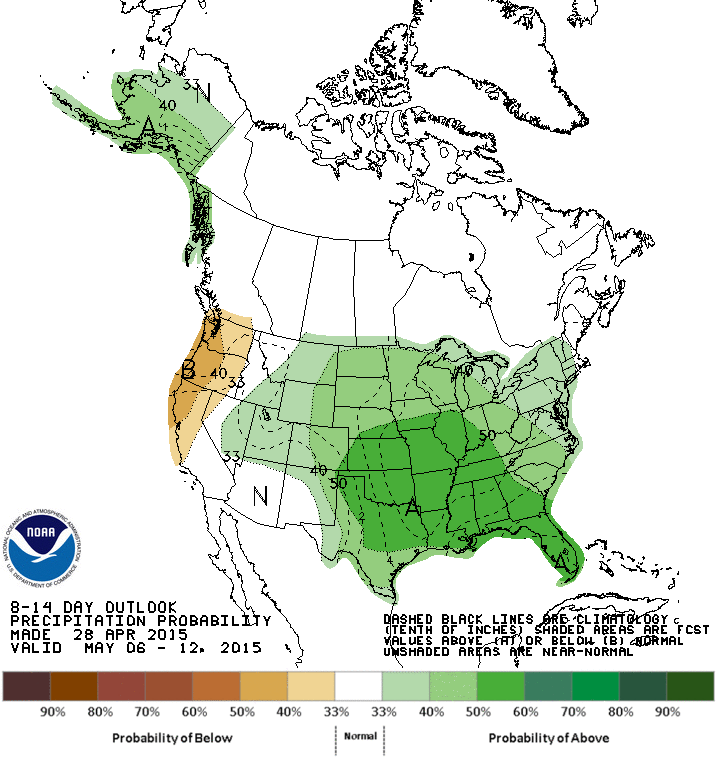 Both the 6-10 day and 8-14 day outlook indicate a higher likelihood of receiving above average precipitation through at least the first week and a half of May. This has to do with an increase in moisture with a pattern change expected to take place within the jet stream as winds shift around to the southwest, pulling in a little more gulf moisture. In fact, a good portion of the country has a higher probably of receiving above average rainfall. It's spring! And that means farmers will be out in full force over the next several weeks prepping their fields getting them ready for corn and soy bean planting. This also means you need to be a little more alert, and patient, while traveling the country roads. The month of April has seen it's ups and downs with the weather. From 70's one week, to rain and 50's the next, it's been hit or miss for farmers to get out into the fields. According to the latest USDA report, corn planting had been limited in some areas last week due to the cool and wet conditions. 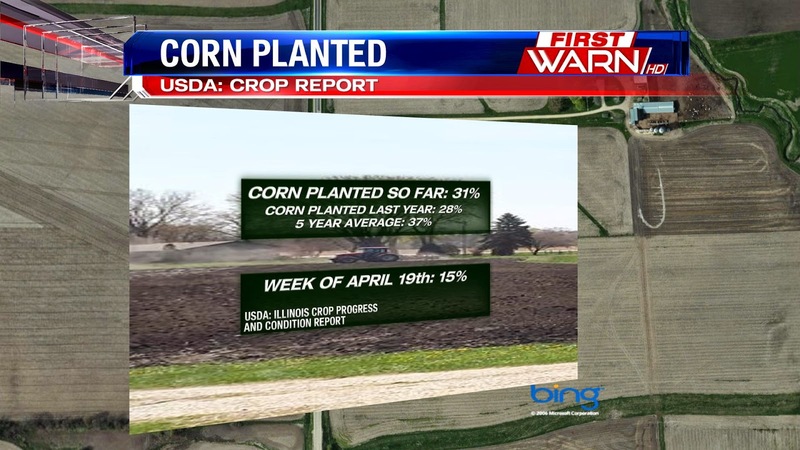 Throughout the state of Illinois, 31 percent of the corn crop has been planted. This is up from last week when only 15 percent of the corn crop was planted. Last year around this time, 28 percent of the corn crop had been planted. I would imagine with the relatively dry weather we've had, farmers will be out even more in the coming days to get corn in the fields. Within the next few weeks, soy beans will be going in, so remember to keep a watchful eye to the fields. Tuesday will be another quiet day, a surface ridge is in place along with high pressure. This is keeping a light wind from the north and allowing temperatures to reach the upper 60s later this afternoom . 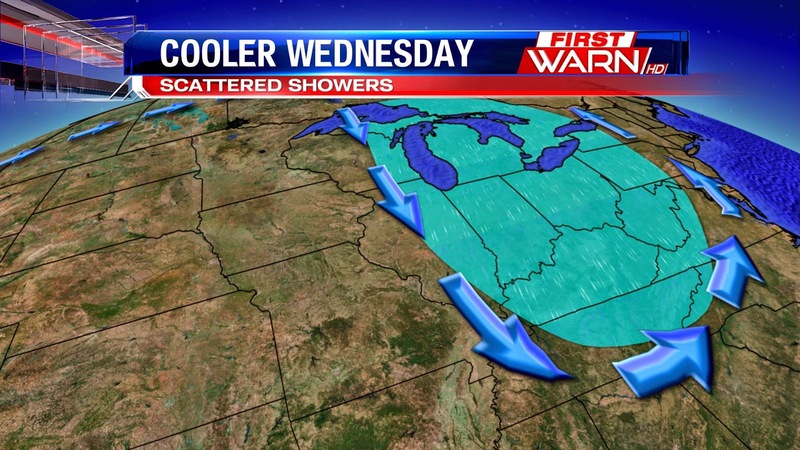 But there will be a change in the pattern, and this will bring a chance for light rain on Wednesday. A mid level disturbance, as well as a jet max moving through a sharp dip in the jet stream, will bring a chance for rain late Wednesday afternoon. A cold pocket of air above will create a sharp gradient, or change, in temperatures from the mid levels of the atmosphere to surface. This sharp change in temperatures along with lift from the shortwave and jet will allow for just enough lift to support some rain. 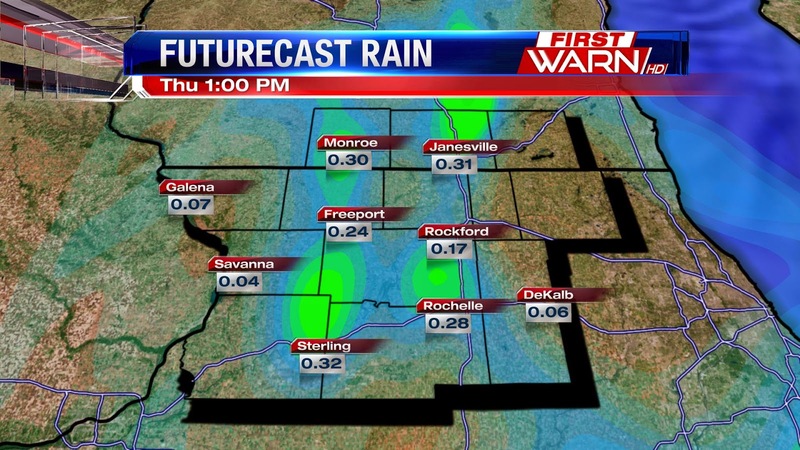 Not everyone will see the rain, and it won't be too much, we'll only see a few tenths of an inch. Behind this weak cool front temperatures on Thursday will drop into the low 60s but then we see a return to the warmth on Friday. From the middle to upper 70's two weeks ago, to the 40's and 50's just last week, to temperatures back into the 60's and 70's this week, the weather during the last few weeks of April has been quite the rollercoaster ride. 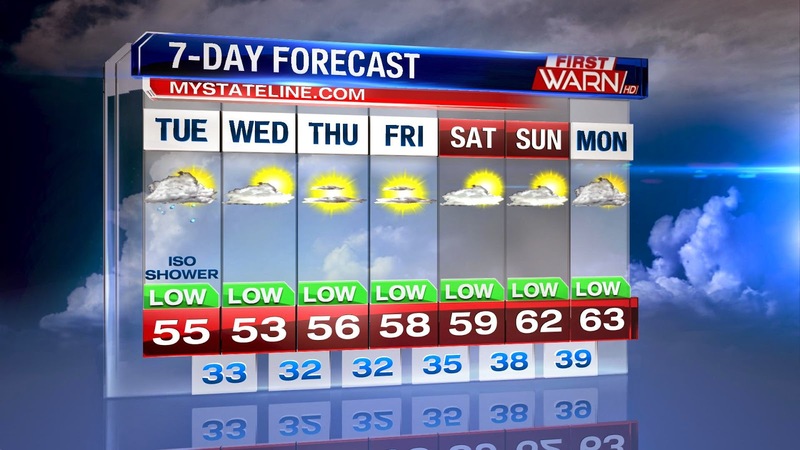 At least our temperatures this week will be more seasonable, with highs rising back into the middle 60's. The jet stream pattern keeps most of the active weather along the far southern Plains and Gulf states, but also blocks the majority of moisture from making much progress northward. This means as weak disturbances move in from the North across the Midwest, they will have very little moisture to work with leaving us with a low rain threat until the weekend. Once we head into the weekend, temperatures will warm into the 70's but with the warmth, will also come the chance for thunderstorms as we enter into a little more of an active weather pattern for next week. Temperatures Thursday morning fell into the upper 20's and low 30's area wide, with some locations dropping into the middle 20's. There were a few reports of frost this morning, but frost could be more widespread Friday morning with a lighter wind. The weather this week has been cold, no question about that, but it's not unheard of to get freezing temperatures towards the end of April. According to Illinois State Climatologists, the median date of the last freeze, 32 degrees, is between the 21st and 29th of April in Northern Illinois. 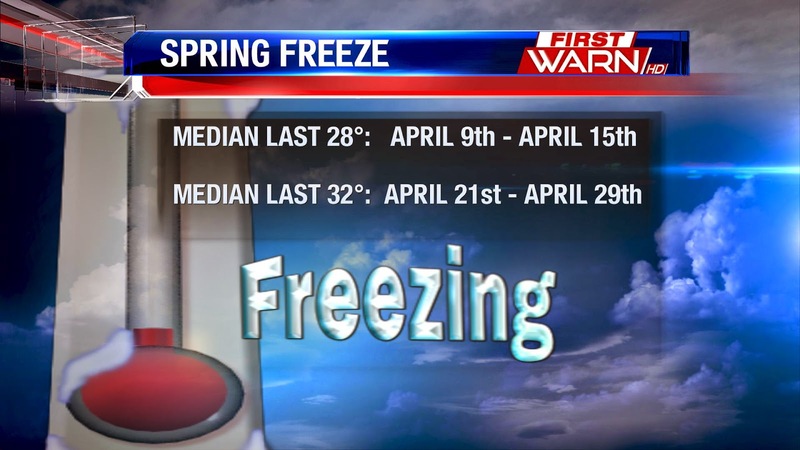 The median date of the last 28 degree freeze is usually within the first week and a half, to two weeks, in April. While it's possible temperatures will fall to freezing again this Spring, we've likely got a few more possible nights of frost. Northern Illinois has seen freezing temperatures as late as the 27th of May! While it is the end of April, it hasn't quite felt like it the past few days. Last week we had back to back 70s, this week we're barely making it into the 50s. Some even saw some snow flurries this morning! As for tonight the flurries will be gone but there is a freeze warning in effect for northern Illinois. 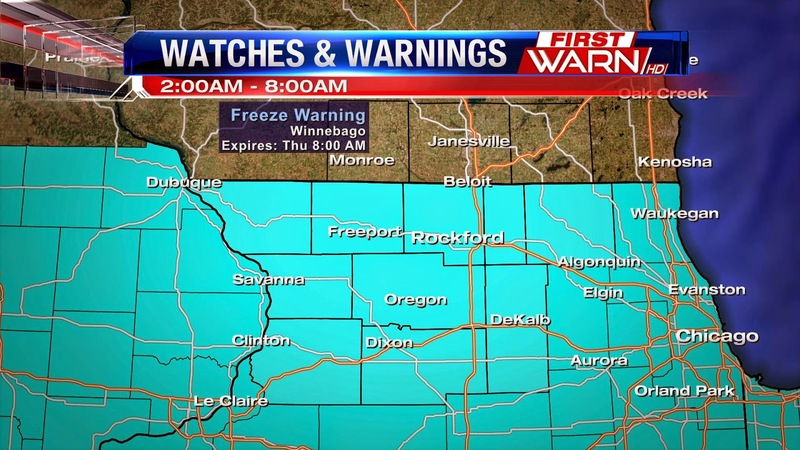 That goes into effect at 2:00am and lasts through 8:00am Thursday morning, with overnight lows falling into the low 30s and even upper-20s across the Stateline. Along with that, we could even wake up to frost the next couple of mornings. The best chance for the frost will be Thursday night into Friday because winds will become more light, with lows right around the freezing mark. You'll want to either bring in or cover any sensitive plant! Overnight temperatures will warm up closer to the weekend! Wind gusts Tuesday afternoon topped out near 45 mph for a time during the afternoon, and while we won't have that strong of a wind today, wind gusts near 30 mph will be very common in Southern Wisconsin and Northern Illinois. Strong low pressure in the northern Great Lakes, while slowly shifting further east, will still have an impact on our winds today and tonight. Each day the wind will ease, but gusts near 20 mph will be possible through Thursday afternoon. Tuesday's wind gusts were definitely the strongest we'll feel this week, but lose objects and even garbage cans could still fly around today. And, watch out for those shopping carts in parking lots! It was the worst tornado outbreak in Northern Illinois, with 10 tornadoes in north-central and northeast Illinois, three of those considered violent, F4 tornadoes. From the outbreak, there were 58 fatalities with more than 1,000 people injured! 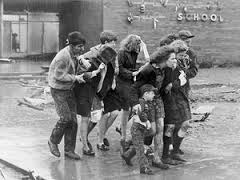 Many of us have vivid memories of that afternoon, as we were still young children, or knew someone who had either been injured or killed. The tornado that went through Belvidere, killing 24 and injuring hundreds, was rated an F4 (at that time) with winds over 200 mph. The tornado was on the ground for nearly 28 miles and up to half a mile wide. Back in 2006, Jim Allsopp - who was Warning Coordination Meteorologist with the Chicago National Weather Service - put together a complete summary of the tornadoes that touched down throughout Illinois. Click here for that complete summary, including a weather synopsis and photos from that afternoon. Hold on to your hats, steering wheel and garbage cans today! 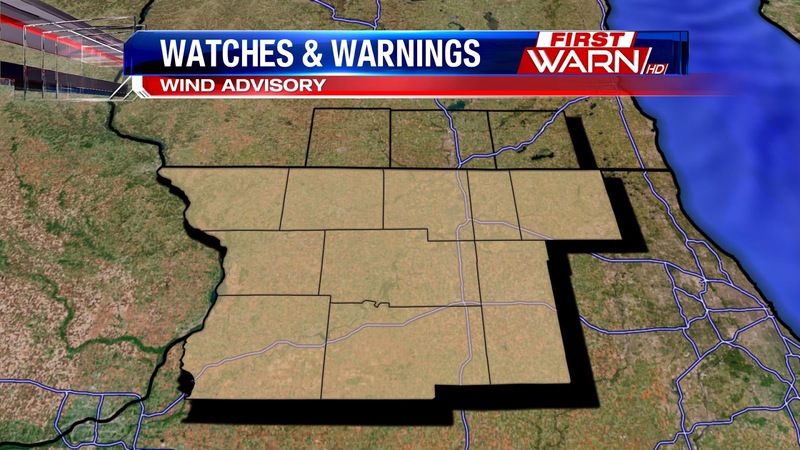 A Wind Advisory will go into effect at 11am this morning for Northern Illinois. Wind gusts this afternoon could reach 40 mph under mostly cloudy skies. North/south roads will experience the greatest impact with the west wind, so be careful on the roads today! Winds will remain strong through Wednesday afternoon. If you stepped outside today, you felt how windy it was, and tomorrow will be a lot like today. 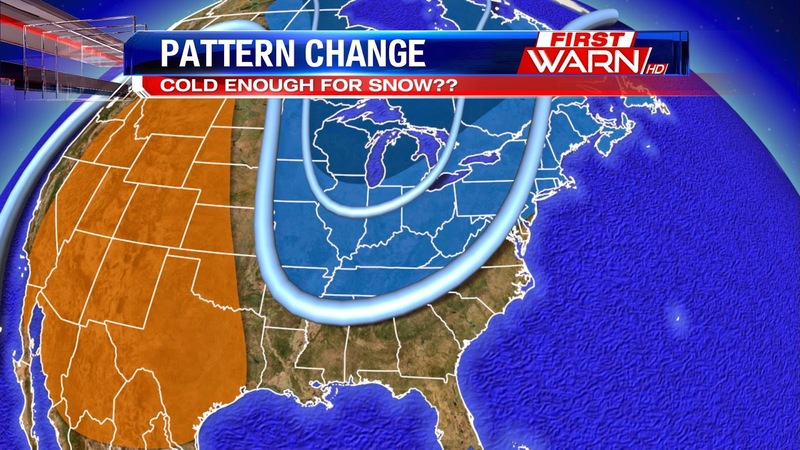 That's because the current pattern won't change much in the next couple of days. There is a strong low pressure system that is spinning to the northeast near the upper great lakes, combined with a high pressure across the plains. This creates a tight pressure gradient, or a big change in pressure in a short distance, and in turn creates windy conditions in between the two systems. That tight gradient created wind gusts close to 40mph, and sustained winds near 30mph. This will also be the case fore tomorrow, winds will continue to increase through the afternoon, with gusts up to 40mph possible in the afternoon. The low is also bringing in colder Canadian air, so temperatures this week will be about ten degrees below were we should be. 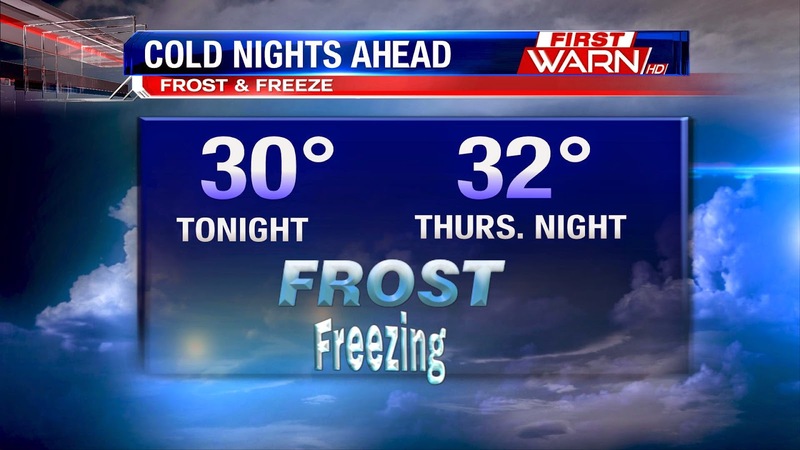 Overnight lows will be chilly as well, falling very close to, if not below freezing. The low pressure system will slowly lift to the northeast in the next few days, so temperatures will warm to the 60s with more sun by the end of the week. Getting a little too close. 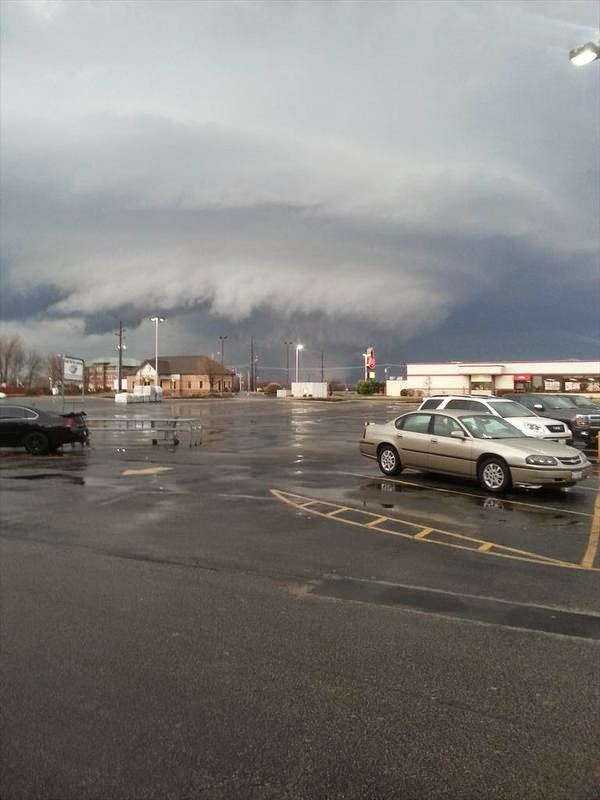 Was the tornado from April 9th too well documented? 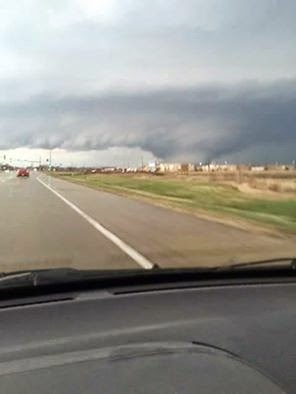 It seems like hundreds of videos and photos of the EF-4 tornado that struck Northern Illinois on April 9th have surfaced on social media, as well as on YouTube. Some photos show people were a safe distance away, while other videos show there was likely a greater threat to that person taking the video or photo than they realize. Over the weekend, Meteorologist Kristin Cwynar and myself went to the Media workshop held at the Chicago National Weather Service office in Romeoville. It's something we do every spring and fall, to discuss new topics and upcoming forecasts for the summer and winter. But this meeting had a different agenda - the deadly tornado outbreak of April 9th. 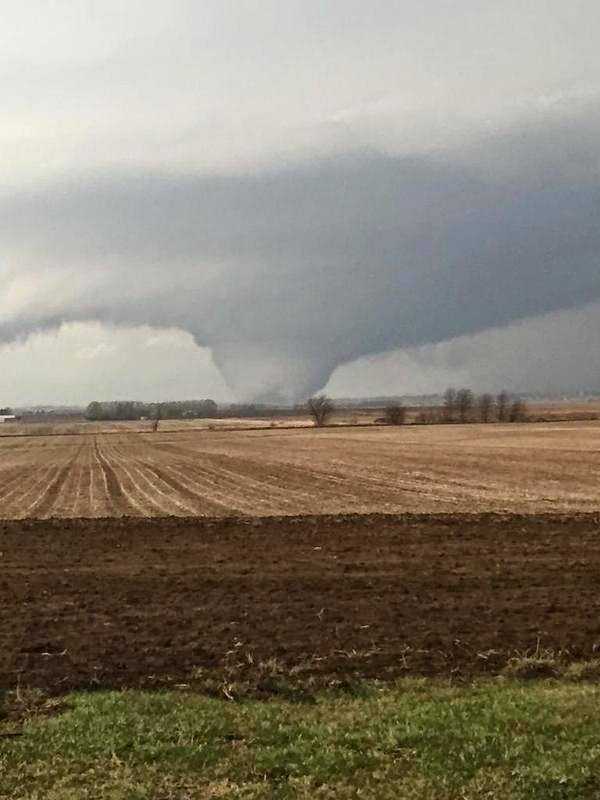 In all that day, there were 19 tornadoes across the U.S. with 11 of those occurring in Northern Illinois, making that day the largest tornado outbreak so far of the severe weather season. During the meeting, Meteorologists from both Chicago and Rockford TV stations, along with those from the National Weather Service, discussed what caused such a volatile atmosphere that afternoon and evening, and some of the challenges that forecasters faced even the morning of. One of the topics discussed was the fact that the EF-4 tornado could have been the most documented tornado in a very long time. 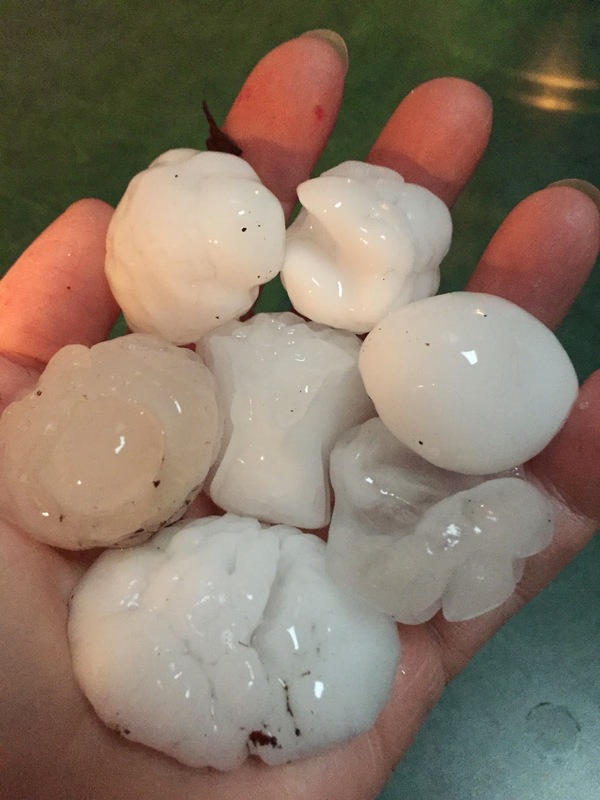 Not only were numerous experienced storm chasers following that storm, but also many photos and videos surfaced from people who witnessed the tornado move right through their back yard. While we all are in awe of the strength, destruction and mystery surrounding tornadoes, the question that came up during the meeting was whether or not people put themselves at harms way when they should have been taking shelter. And to us, the answer is simple, Yes. I'm sure by now we've all seen the video of Mr. Sam Smith. The man who got dangerously close to the tornado as it passed over I-39. While many colleagues have refused to re-post the video, many others have. While the video shows how dangerous of a situation Sam Smith was in, it can also be a teaching tool for Meteorologists to use. Mr. Smith is not from the area, and was traveling back from a business trip from Minnesota. 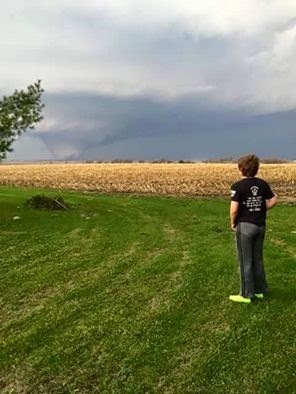 He noted that not being from the area, he wasn't completely aware of the weather situation, nor did he know which direction the tornado was traveling once he saw it. As a result, he ended up stopping on the Interstate, and backing up under an overpass where many other vehicles were for protection from the large hail. Thankfully, and likely by pure luck, his car didn't get picked up or have debris tossed into it. Now, could that situation have been avoided? Quite possibly. Had Mr. Smith been aware of the possibility of severe weather that afternoon, he may have had more 'situational awareness'. Knowing what the weather will be like wherever you are traveling could help save your life. Know your line of travel, and should severe weather occur, have a plan. That's the most important thing. Also, an overpass is not the safest place to be when there is a tornado. Many believed that it was after a video back in the early 90's surfaced as a Kansas TV crew, a father and daughters took shelter under an overpass as a tornado was coming. In reality, wind speeds can increase and the threat for flying debris is great under an overpass, especially because you're exposed to the elements. Now, the next video came from someone who was also a little too close to the tornado. It appears that maybe only a mile, or less, separate him and the debris the tornado is picking up. This video was discussed because one, the tornado could have shifted its track and two, debris could have been dropped very close to his house, either hitting his house, or him - as seen as the tornado tore through a farmstead. I've heard a few stories come from those impacted by the tornado that they only had a couple seconds to react before being blown down their basement stairs. Or a farmer who said he's watched numerous tornadoes go through the field between his house and his neighbors house, but never directly at him. By the time he realized it wasn't going to pass, the tornado was already on top of him. The message both myself and Kristin want to get across, along with the Meteorologists at the National Weather Service is this: Leave the video and picture gathering to those who have the experience. 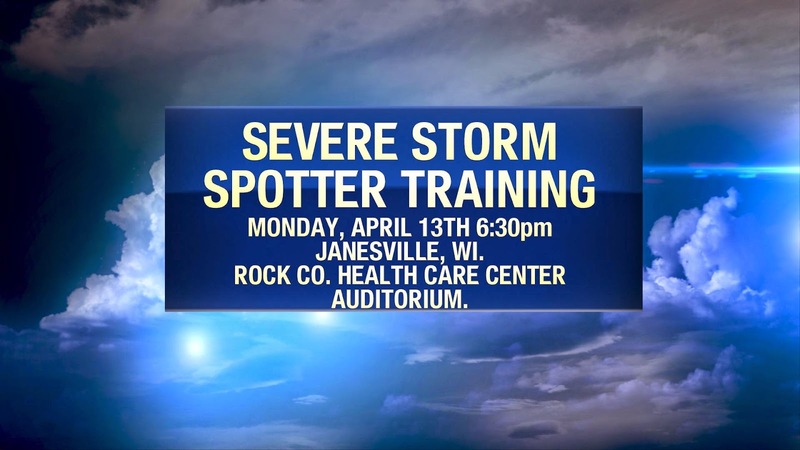 There will also be storm spotters and experienced storm chasers who will document what they see very well. Don't put yourself in danger trying to get that video - leave it to the professionals. When you hear that a tornado warning has been issued for your area, take shelter. Don't take that time to get your phone and try to snap photos. Those minutes you spend trying to get that 'it' picture could mean the difference between life and death. Feeling the impact: How did you prepare before the storm? 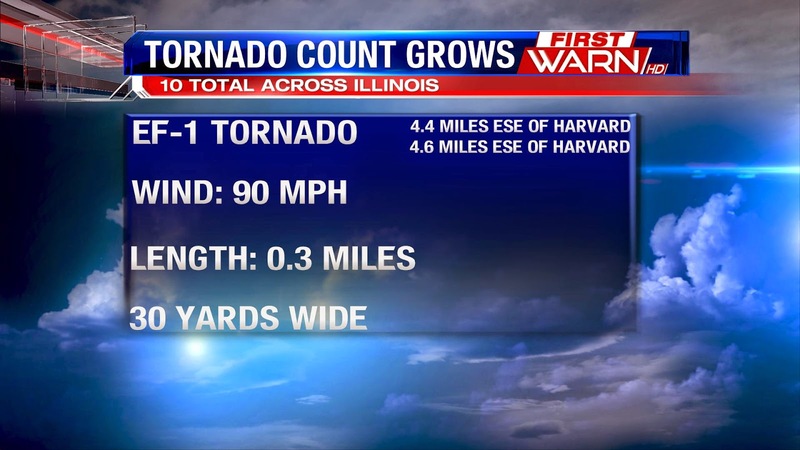 Tomorrow will be one week since 7 tornadoes touched down in Northern Illinois, impacting so many for many years to come. I'm still in awe as to what happened, and how quickly that storm developed into what would be at it's strongest point an EF-4 tornado. We've all seen what this tornado did to communities and farmsteads, and I've heard some say that they had just seconds before the tornado struck their home. So this morning, I want to reach out to all of you, and ask for your honest input. Many of you have sent messages, emails and comments on the coverage that night. And for that, both myself and Kristin are truly grateful! It still makes me sad when I think of those who were injured, or the two women who lost their lives. Looking back, though, it could have been a lot worse. On Saturday, I'll be headed to the Chicago National Weather Service office for our annual spring Media/NWS workshop. I know a lot of the focus will be on what happened last Thursday. With that, I'm hoping your answers will help us continue to, and build upon, how we warn and how people respond to those warnings. 1. 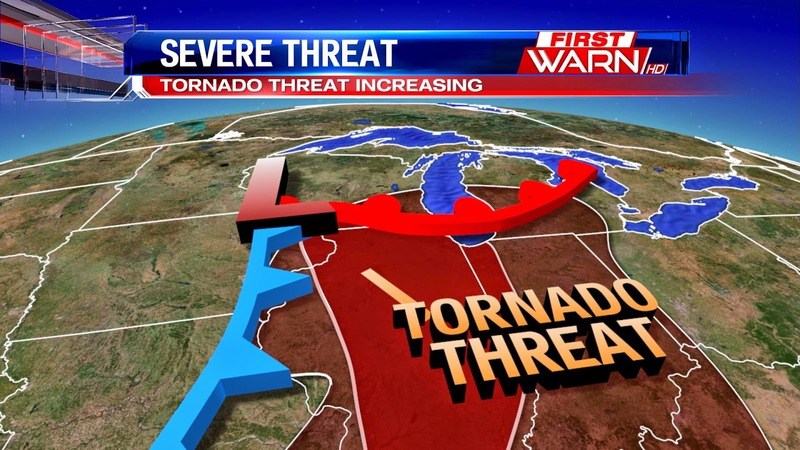 In the days leading up to Thursday, did you feel you had enough warning that Thursday could be severe? If not, what do you think could have been done differently? 2. The day of, did you feel well enough informed of the potential for severe weather? 3. Once the Tornado Watch was issued, did you become a little more aware of the potential danger for that day? 4. What was your way of receiving the watches/warnings? Was is via TV, social media, phone, weather radio? 5. During the coverage of severe weather, did you feel prepared enough to know what to do, where you should go, or where storms were going? 6. If there was a warning out for your area, did you take shelter right away, or did you go outside to try and see what was going on? 7. For anyone who was directly impacted by the tornadoes, what was your initial thought when you saw the tornado coming? Did you feel you had enough time to get to shelter? Did you feel you had enough warning time before it hit? Thank you so much for reading, and hopefully providing some good conversation! With severe weather season upon us, you want to make sure you are weather aware and know what to do if you find yourself in a dangerous situation. If you are driving and see a tornado, experts say that you never want to pull under an overpass. Winds can increase as they funnel under the bridge and fling debris at very high speeds underneath, flying debris is the biggest threat with tornadoes. Also, the wind direction can change quickly as the tornado moves past, you might think that you are protected but as winds shift it can bring flying debris from different angles. It is also dangerous because of other vehicles still driving by that could potentially hit you. You also don't know the structural integrity of the bridge or overpass, and it could collapse on you. What you want to do is try and find a structurally sound structure or building to take cover in. If you cannot find that, experts say that you should look for a ditch or low lying area and lay low while covering your head with your arms. If there are no ditches or low lying areas, then stay in your car and stay buckled up, while still protecting your head. 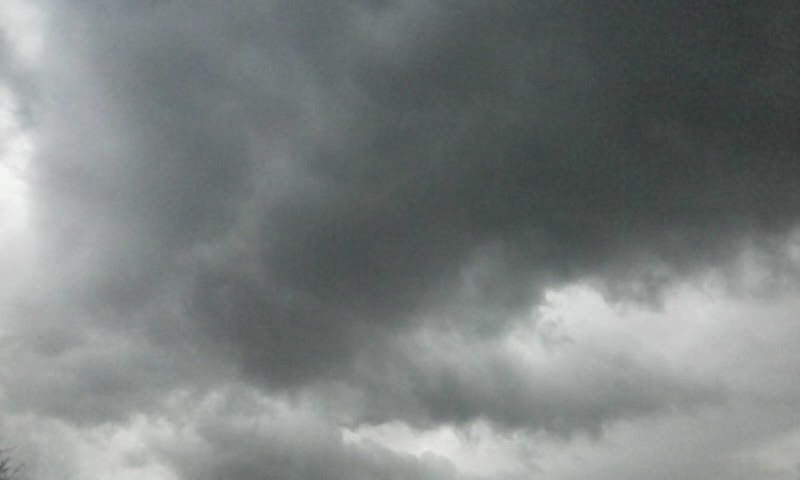 Never try to out run a tornado, they can travel very fast and don't follow roads, and you could get stuck in its path. If you do have to continue driving its recommended that you drive at a 90° angle from the tornado. 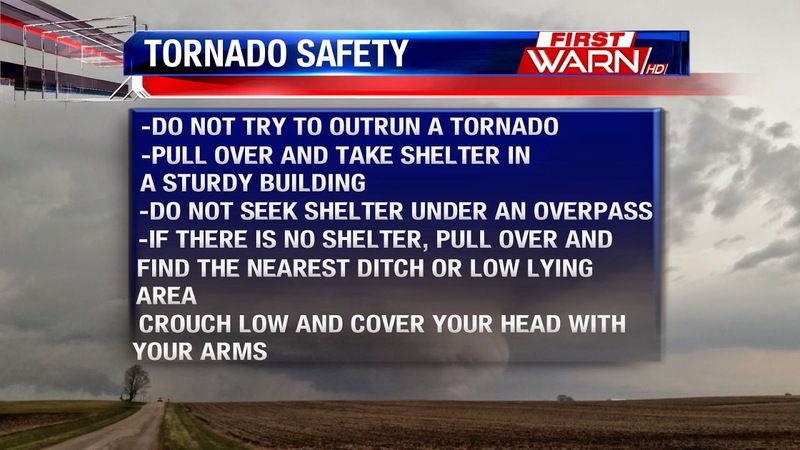 For more tornado tips and FAQ's click here. 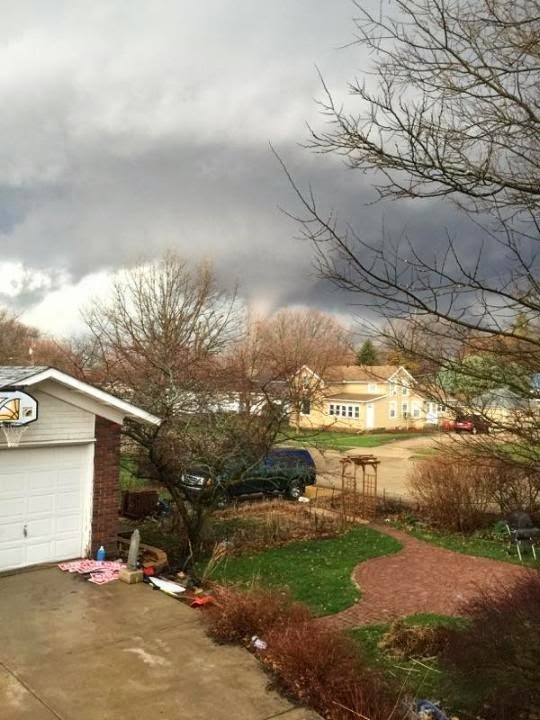 Sixth Tornado Confirmed in Stateline. 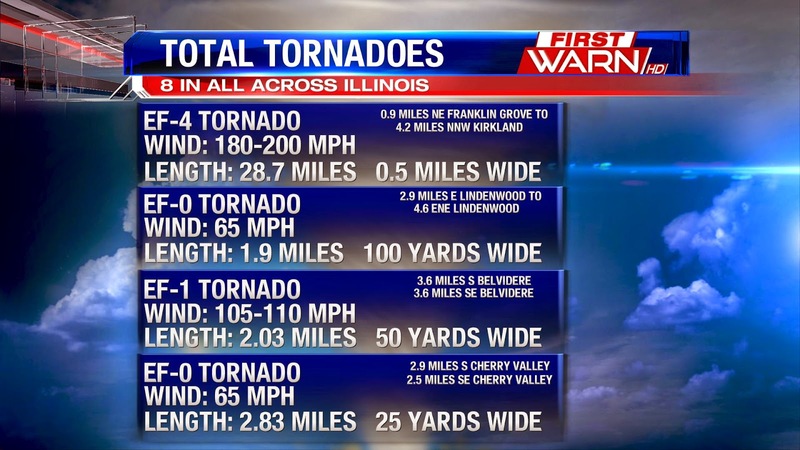 The National Weather Service in Chicago is now confirming a 6th tornado that touched down in the Stateline on Thursday. 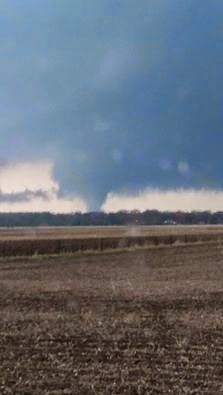 The 6th tornado is ranked as an EF-1 and touched down about four miles to the east south east of Harvard in McHenry county. The tornado was short lived...only traveling about a quarter of a mile and uprooted about seven trees with peak winds around 90mph. Temperatures have been quick to warm over the past couple of weeks with the 60's and 70's, but that could all be changing as we head towards the middle to end of the month. Most of the rain for the next couple of days will remain in the South as low pressure remains cut-off from the main jet stream. By late in the week, a series of low pressure systems will bring rain across the Plains and Midwest into the weekend. A passing cold front Sunday night will bring an end to the 60's we've had. Highs will drop from the 60's down into the 50's, possibly low 50's, towards the middle of next week. Long term outlooks suggest the below average temperatures could stick around through the end of the month. Satellite Tornadoes - What are they? 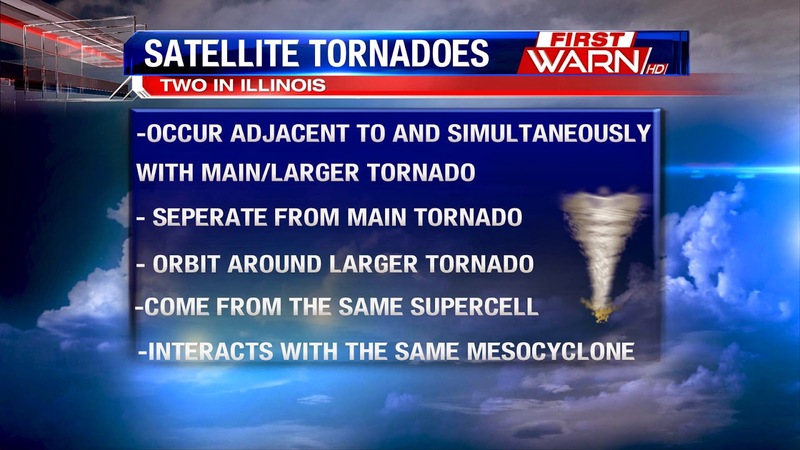 The National Weather Service today confirming that there have been a total of five tornadoes that hit the Stateline on Thursday, with two of those being called "satellite tornadoes." But what are satellite tornadoes? Satellite tornadoes form around a large "main tornado," but are completely separate from it. This makes it different from subvortices, which actually form inside the large tornado. The smaller tornadoes will orbit the main tornado, and have also been known to rotate in an anticyclonic motion- or clockwise, which is unusual. Normally tornadoes rotate cyclonicly, or counter-clockwise. The satellite tornadoes do form within the same mesocyclone- or supercell, however. 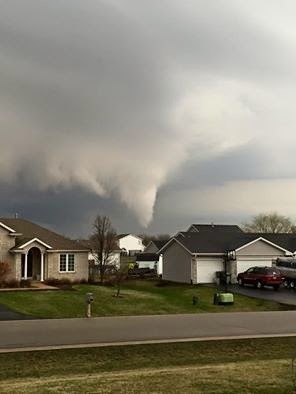 The National Weather Service is reporting that two satellite tornadoes hit the Stateline Thursday night. 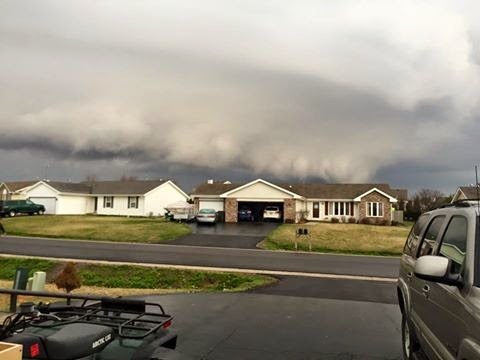 One of those formed near the town of Lindenwood, and was an EF-0 tornado. 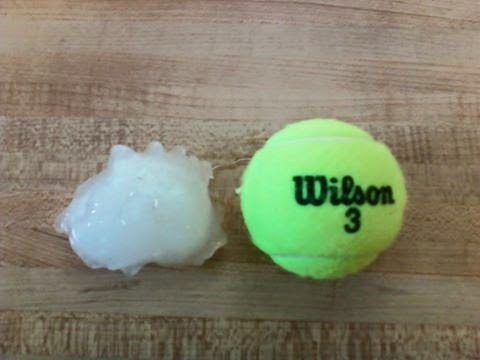 The second was near Kirkland and was rated at an EF-1. Often times we watch the destruction of large tornadoes in other parts of the country and think "That will never happen here". 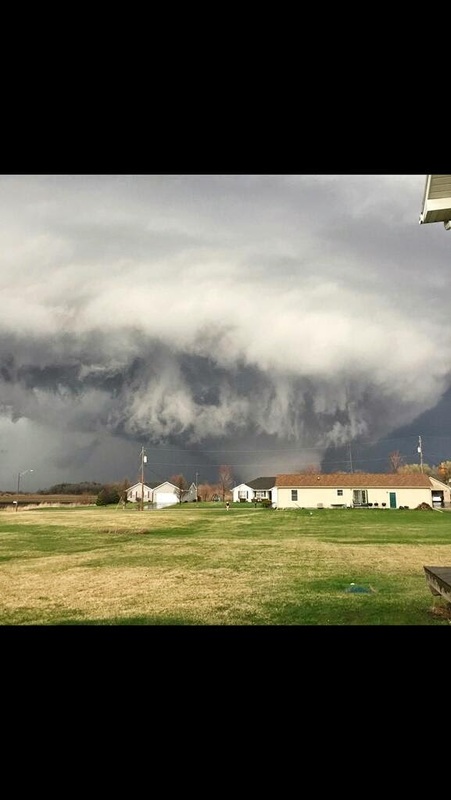 But on Thursday evening, the worst fear of many came true as the first EF-4 tornado touched down in Illinois since the devastating EF-4 tornado that hit Washington, IL back in 2013. 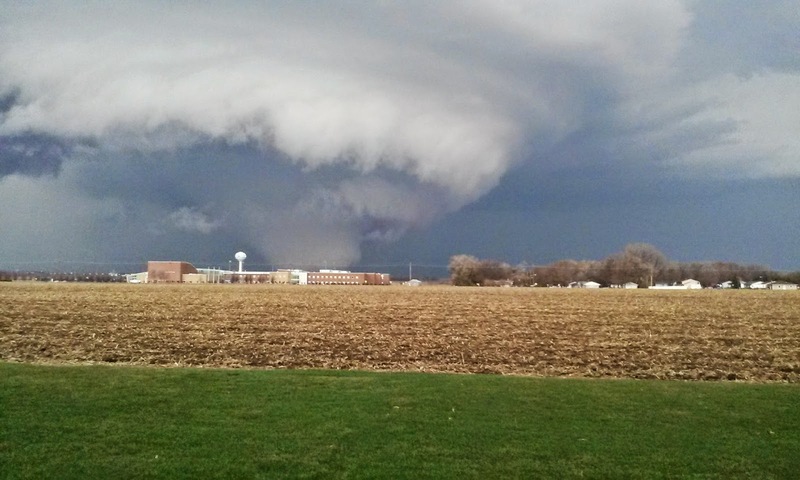 Multiple tornado warnings at one point were issued for Northern Illinois as a powerful storm system spawned what ended up being five tornadoes across the Stateline - two of those were satellite tornadoes - and nine throughout the state that day. But, what were the conditions that led up to the massive EF-4 tornado that evening? Unfortunately, all the right ingredients came together to create a very dangerous situation. As early as Saturday, the warning was given that Thursday could potentially be a day that needed watching. The map to the left is a surface analysis from Thursday evening around 6pm from the National Weather Service. During the morning, cloud cover and non-severe thunderstorms developed ahead of a warm front that was forecast to pull north of the state line by the afternoon. As cloud cover begin to clear to the south of Rockford, the air mass behind the warm front became increasingly unstable. Surface dew points rose into the middle 60's - one of the ingredients needed for severe weather - and not typically felt this early during the month of April. Instability was increasing causing the environment at the surface to become favorable for rotating updrafts within thunderstorms. In order for thunderstorms to have updrafts that rotate, a certain low level profile needs to be present. This type of environment is typically found along some sort of boundary. For example, a cold front or warm front. Thunderstorms from earlier in the afternoon helped to reinforce the warm front right over Northern Illinois by leaving outflow boundaries (mini cool fronts). This caused what meteorologists refer to as 'backing winds'. This means winds at the surface are from the south or southeast, but just a couple thousand feet above, they shift around to the southwest or west. That turning of the wind throughout the atmosphere is what causes rotating updrafts. And if strong enough, can cause tornadoes. All of this at the same time surface low pressure continued to deepen (strengthen) in Northeast Iowa and Northwest Illinois. 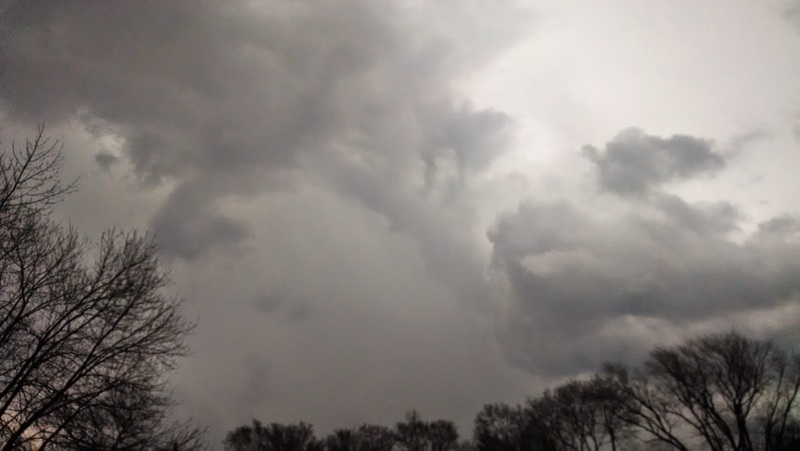 As the thunderstorm developed near Dixon and Franklin Grove, it took hold of the instability along the warm front and fed off of it as it quickly raced Northeast before ending in far southern Boone County. Some chasers estimated the storm to be moving around 40-50 mph. With a storm motion that fast, it doesn't allow much time to react. Throughout the evening, several more tornadoes occurred - two of which were classified as satellite tornadoes. 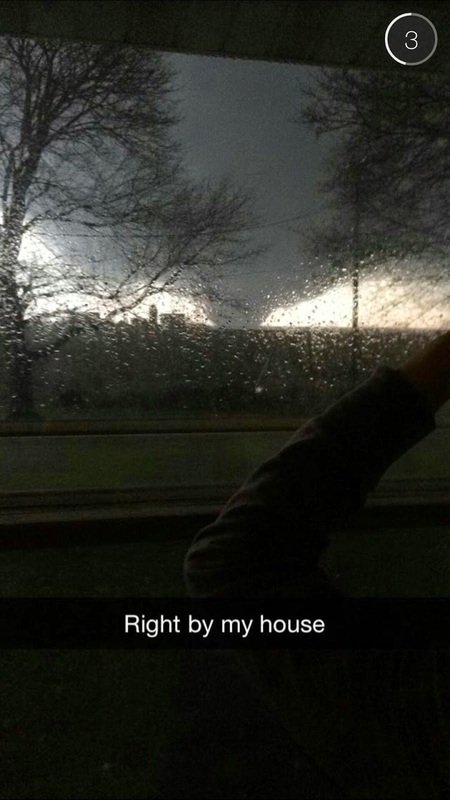 In all, five tornadoes occurred in Northern Illinois that night. Thankfully, the weather this week will remain much more quiet, outside of a few showers possible late Wednesday and Thursday, but severe weather is not expected. 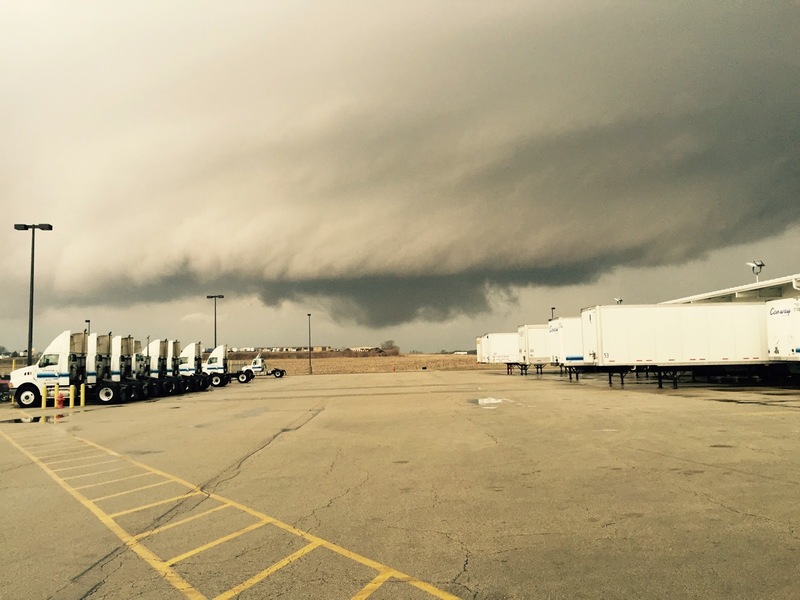 For the preliminary damage survey done by the Chicago National Weather Service, click here. 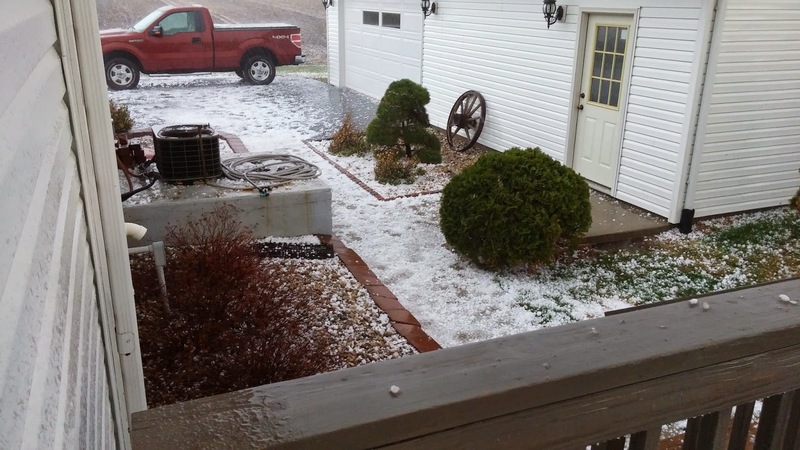 Update as of Sunday evening: Survey concludes five tornadoes touched down Thursday evening. One EF-4, two EF-2 and two EF-0. 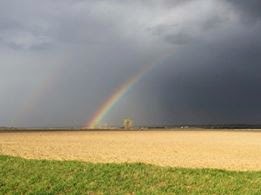 Friday the sun rose on destruction that was left in the wake of a strong tornado that moved through Northern Illinois. As the skies cleared Friday, the National Weather Service sent out teams to survey the damage. They do this to try and get a grasp on the strength of the tornado, and then assign it a rating on the Enhanced Fujita Scale. 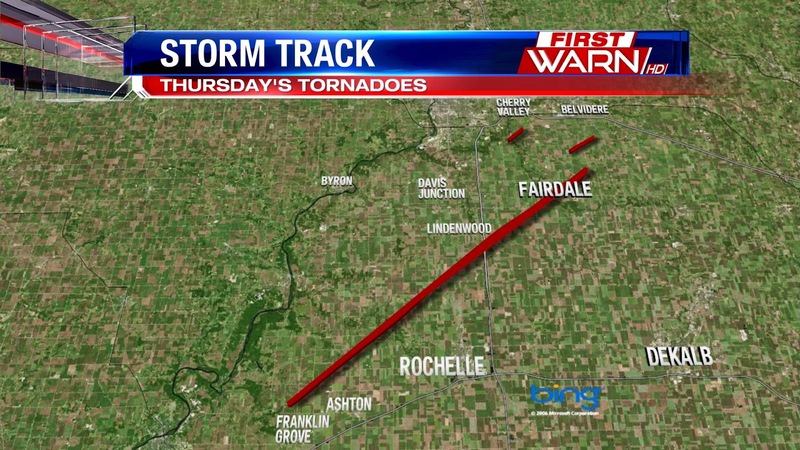 The NWS gave the tornado that touched down near Franklin Grove and ended north of Kirkland, tearing through the town of Fairdale, an EF-4 rating. This is still a preliminary rating, however, as the NWS still has to do an aerial survey, which will take place either Friday or Saturday. The National Weather Service believes this was a single, long track tornado, which means it could have been on the ground for about an hour. The estimated peak wind was between 180-200 mph, nearing EF-5 status. The length of the tornado was estimated to be a half mile wide, killing two and overall injuring 22. Preliminary results show the tornado touched down just Northeast of Franklin Grove around 6:39pm before traveling nearly 29 miles to the northeast, and ending roughly 4 miles Northwest of Kirkland around 7:17pm. 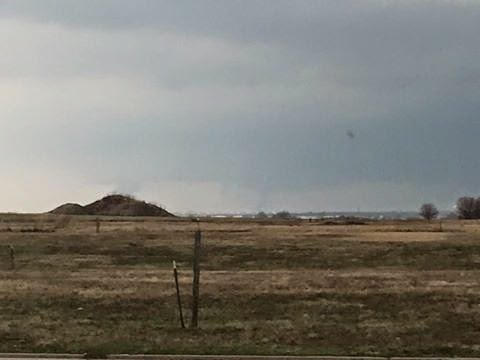 Another tornado touched down roughly 3 miles south of Belvidere and appeared to be on the ground for a little over 2 miles. 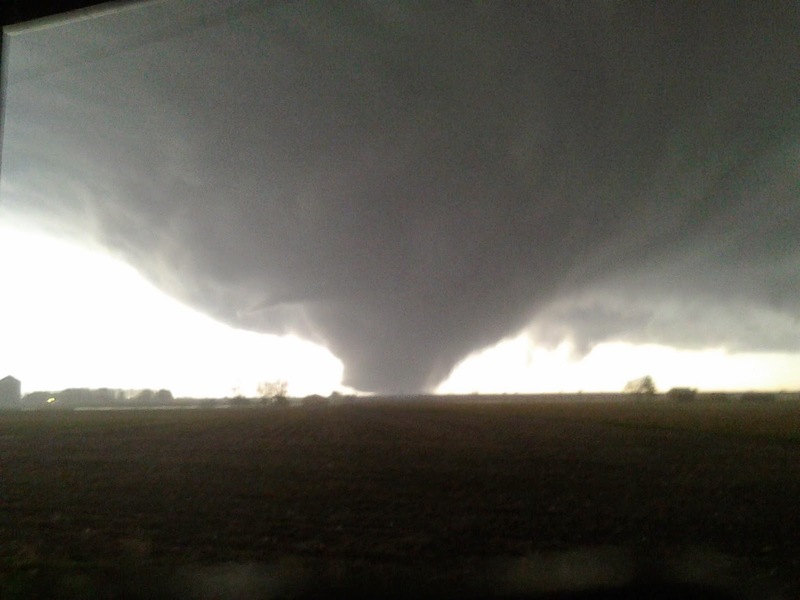 Estimated peak wind speeds were 105 to 110 mph, giving this tornado a ranking of an EF-1. According to the damage survey, this tornado touched down near Flora Rd and is the tornado that struck Summerfield Zoo, killing two animals and causing significant damage to many outbuildings. The tornado continued east across Genoa Rd where three power poles were snapped and blown over. 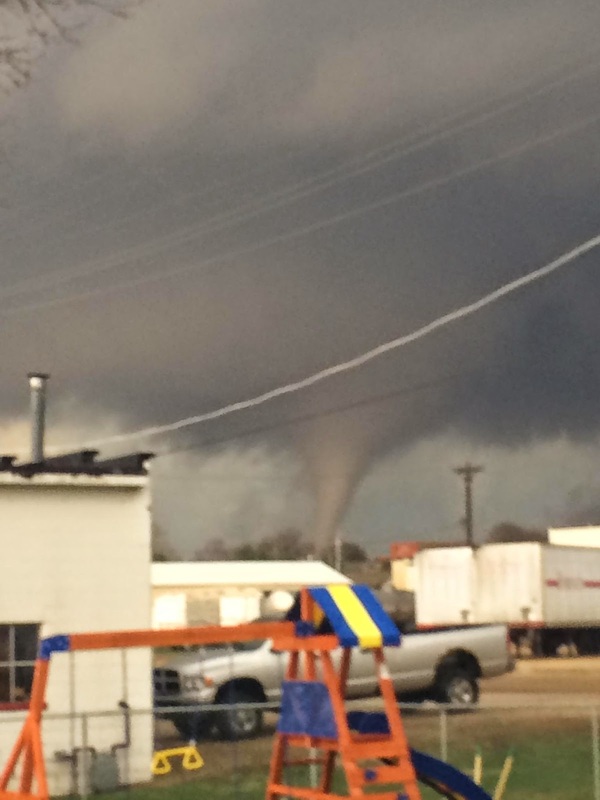 This tornado is believed to be a satellite tornado of the main EF-4 tornado that went through Fairdale. A satellite tornado is a tornado that rotates around the primary tornado. Two EF-0 tornadoes touched down as well. One south of Cherry Valley with wind speeds estimated 65 mph and a path length of 2.8 miles. 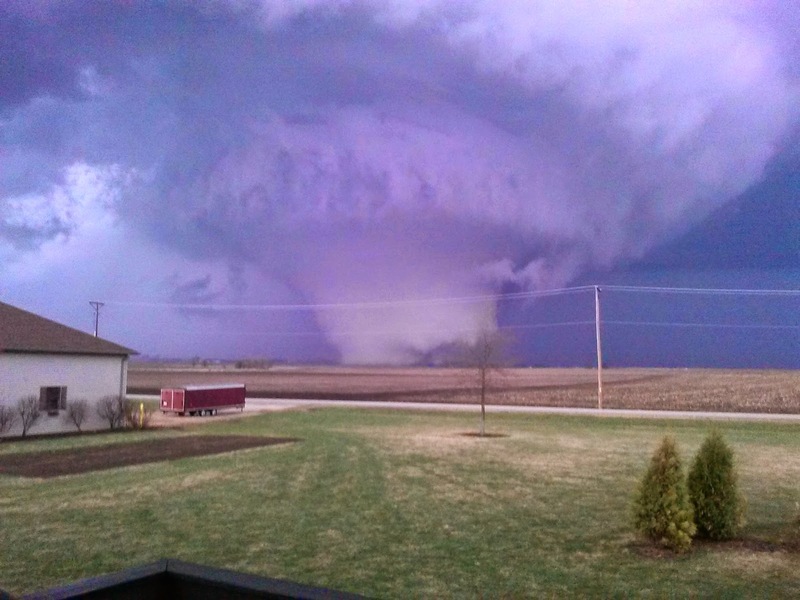 The width of this tornado was 25 yards. The second EF-0 tornado touched down just East of Lindenwood and was on the ground for almost 2 miles. It had estimated wind speeds of 65 mph and was approximately 100 yards wide. 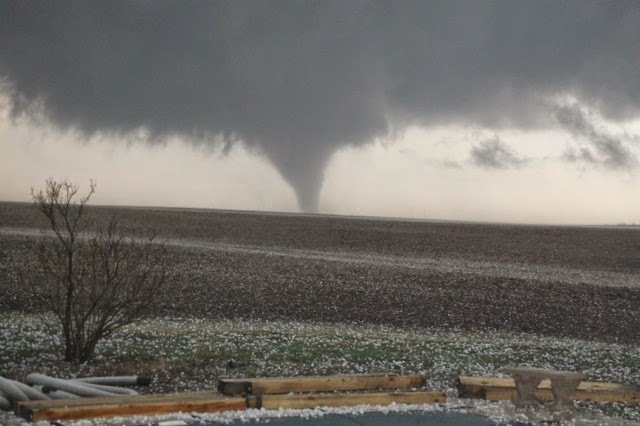 This one is also believed to be a satellite tornado of the main tornado.